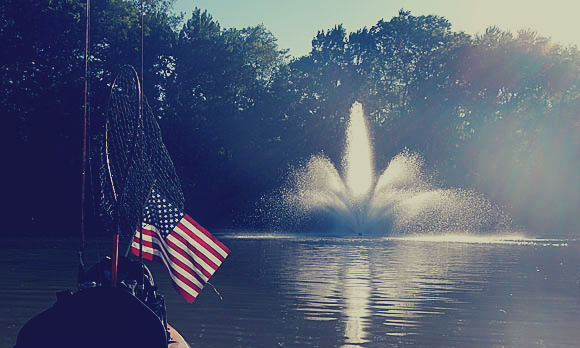 BEREA, OH – I returned to Wallace Lake a few days after the fishing derby, solo this time with the kayak. A bit of mixed emotion with the day’s success after the poor showing with the kids. I would have gladly traded these catches for just a single fish for each of them to reel in. That’s how fishing goes though and I certainly wont say that just because I didn’t catch any with them, that I hoped I wouldn’t catch any without them! Just a little fisherman’s honesty there! 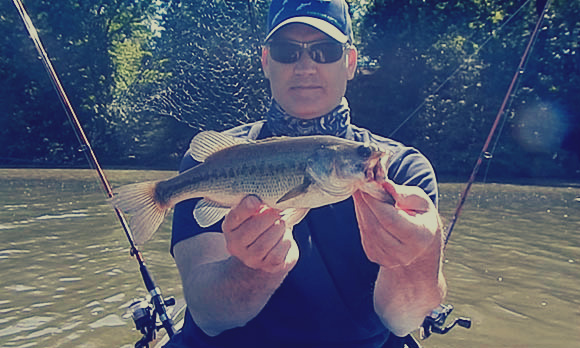 The fishing started fast as I caught a Largemouth Bass on one of my first few casts. 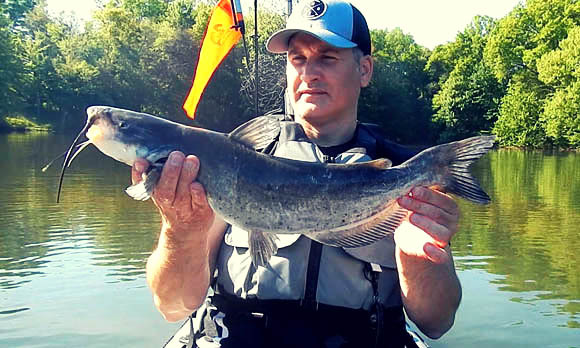 I had also used a second rod to still fish (and slightly drift) which yielded a very nice 22″ catfish. 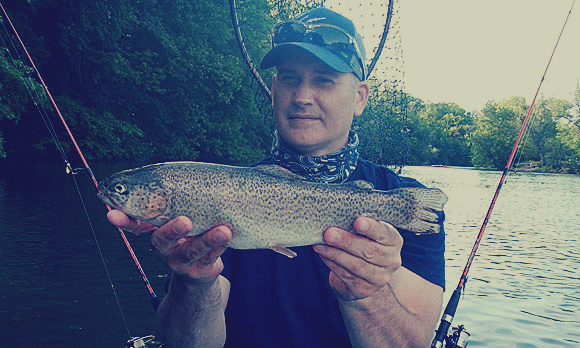 After those two catches I decided to focus on the trout as that was my main target of the day. While I did have to work for them, I did get a limit. 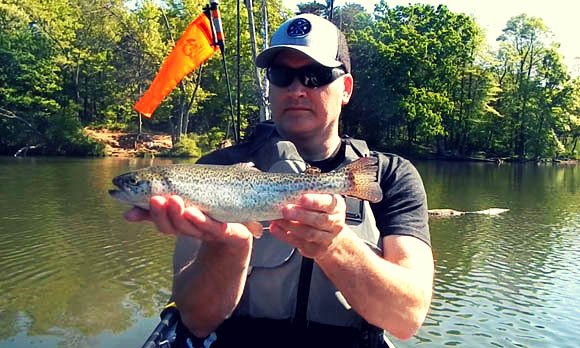 After catching the 3 fish limit of trout (only 1 was kept that wasn’t fit for release), I played around in the shallower areas sight fishing. I got a few bumps and follows but nothing else was caught except a single Bluegill. The day had grown exceptionally hot, and I was pleased with catching four species and accomplishing the trout limit goal. Being more than content, I called it a day. 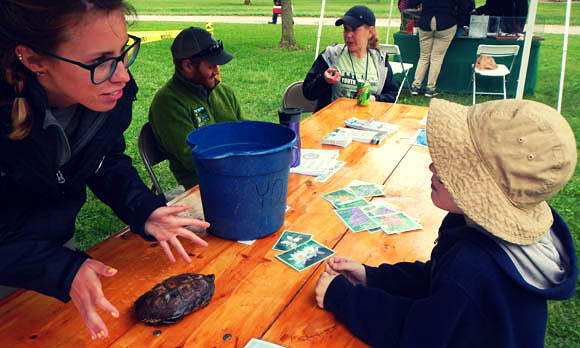 BEREA, OH – The annual tradition of attending the spring Cleveland Metroparks Fishing Derby at Wallace Lake was continued in 2018. I also continued my tradition of not catching fish. Remember last year?, you can read that here. For whatever reason, I do poorly at the organized events (minus last year’s epic N. R. Corn Festival Derby) helping the kids get on the fish. 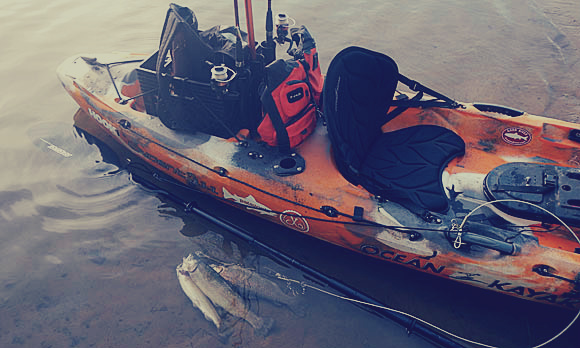 No matter how the fishing goes, the event is always a lot of fun. I nearly always find myself fishing around like minded folks that just want to see their kids have fun and hopefully make a memorable catch. While this ends up being a reality for many, I find myself making great memories even if it doesn’t involve a catch(es). 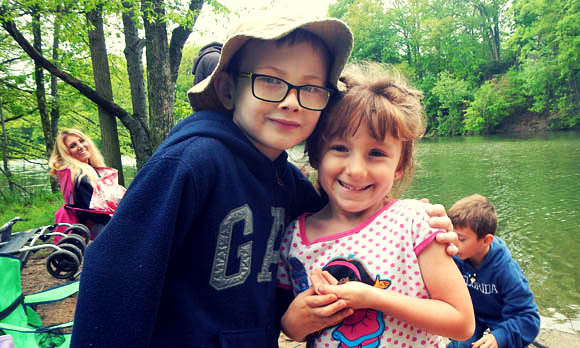 This year was no exception, the family next to us having similar poor fishing results, but enjoying all of our kids playing and exploring the woods together. 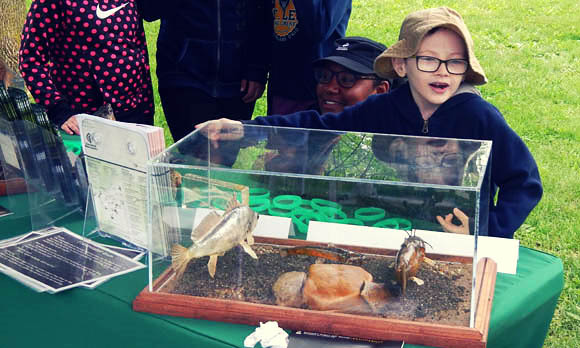 I’m confident none of the kids will remember the lack of fish, but will remember playing tag, wagon rides, finding critters like baby toads, and making new friends. For those fortunate enough to find the fish, and there were plenty that did, the awards presentation is enjoyable to watch. Seeing those proud parents… and those kids walking up with their self-esteem and confidence boosted is fantastic. There are tons of well deserved ‘high-fives’ and the vibe is always upbeat and exciting. That’s a lot of fishing swag waiting to be won! 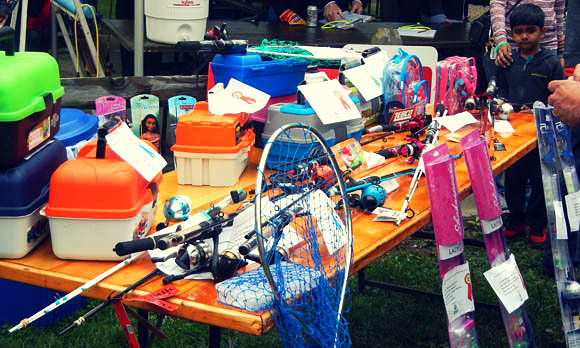 As you can see from the above photo, many young anglers leave with some nice new gear in tow. As an adult, I view catching the fish itself is the reward, but imagine catching fish AND getting a reward for it. Sign me up for that! No wonder why all of the kids are so excited and the events are so well attended. 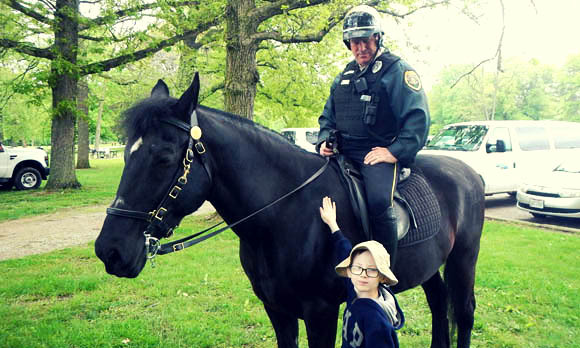 The Cleveland Metroparks always do a great job of having some type of interactive education. From year to year it varies on what exactly it might be, but it is always present. I can speak for not only my children, but the all of the ones I observe, that they love interacting with the staff and volunteers. It is also safe to say that they are having fun while not realizing they are learning. This speaks volumes about the people providing the education and how they present it – as it so well received. I always learn something new myself. So another year has gone by and my fishing results for the kids was the same. But just like last year, we had the same great overall experience. 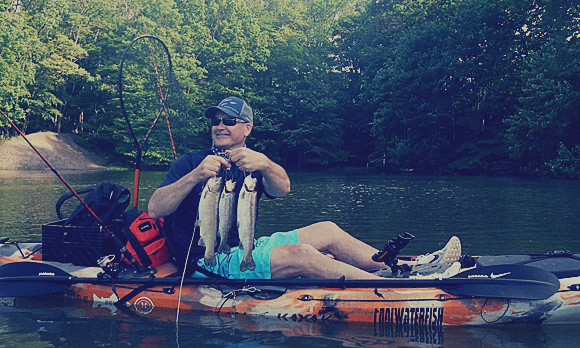 If I can make a case for how much fun you will have even if you don’t catch fish – just imagine how awesome it is if you do! There’s really no risk of having a bad time either way. 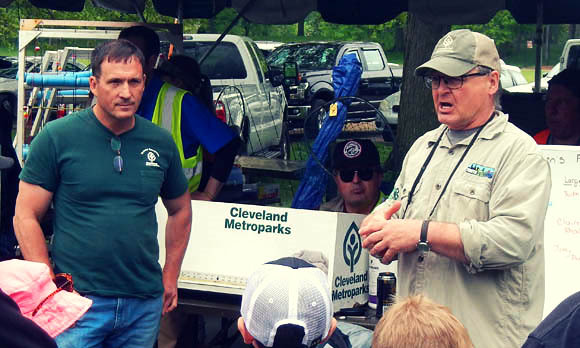 As always, I want to say a huge thank you to Mike Durkalec, Aquatic Biologist, and all of the other staff (and volunteers) from the Cleveland Metroparks… not just for this event, but for all of the wonderful resources they maintain for us in NE Ohio.